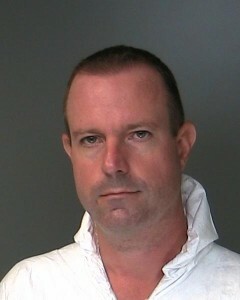 42-year-old David Boutin of West Hempstead, New York was recently arrested in Suffolk County after he was allegedly caught with a 13-year-old boy that he met through craigslist. Boutin is supposedly some kind of financial planner. The only reason I bring that up is because apparently child molesters come from all walks of life and social classes. Anyway the twist to this story is that the craigslist ad wasn’t picked up by police. Local cops came across Boutin by accident when they were looking for a stolen motorcycle. That leads me to believe that for every perv that gets caught on craigslist there are several more who continue to victimize unabated all because craigslist says that it’s impossible to monitor their site. Which as you should all know by now is a load of crap. They just don’t want to spend any money on monitoring the site. I mean what’s a few hundred or few thousand kids that get molested every year compared to the money that they’re making right? The investigation is still open. If you have any information about Boutin, police would appreciate it if you call the Seventh Squad at 631-852-8752 or Crime Stoppers at 1-800-220-TIPS. All calls will be kept confidential. Trench, I saw an FBI profiler in a TV interview say that these guys almost never get busted their first time at the rodeo. They average 100 offenses against children before they manage to get caught, leaving behind them a trail of devastation and ruined lives, and possibly kids who will become offenders themselves. One of the problems, as I see it, is we’ve got too many pot smokers and petty thieves taking up jail space that should be occupied for life by this kind of scum. Wow, An average of 100 offenses. That’s a disheartening statistic.